February 25, 2019: Last updated. 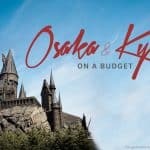 Here is our latest, most comprehensive OSAKA TRAVEL GUIDE BLOG with sample Osaka itinerary for 4-5 days, list of things to do, hotel recommendations, list of expenses, and other useful travel tips! We were about to approach the platform when we noticed a woman running after us. At first, we didn’t think it was us she was chasing, but she stopped and talked to us. She couldn’t speak English, but we recognized just one word, ticket. Apparently, we left our tickets by the entrance. We thanked the woman profusely, who responded with, “It’s okay.” Her smile never faded. We were at Kansai Airport Train Station, and it was our first time in Japan. Barely an hour in Japan and we already witnessed firsthand the hospitality and helpfulness of the people of Kansai. It wasn’t the last time. In the seven times we have visited the city over the past few years, we have met locals who would go out of their way to help: a shopkeeper who left her store to accompany us to the start of a walking trail, a food vendor who brought us to the bus stop, a passerby who helped when he saw I couldn’t understand the writings on a vendo. Osaka doesn’t have the breathtaking landscapes and spectacular sights that other destinations in Japan are known for, but it has the warmth and kindness of its people. And that’s always something to return to. That and the food. Oh yes, the food. What is the tipping policy in Osaka? Is Osaka a better base for travelers than Kyoto? How long to stay in Osaka? What is the power socket used in Osaka? What is the best pass when touring Osaka and Kansai Region? Osaka is the third largest city in Japan in terms of population, next only to Tokyo and Yokohama. But because Yokohama is part of the greater Tokyo metropolitan area, Osaka is widely regarded as Japan’s “second city.” It is the capital of Osaka Prefecture which — together with Kyoto, Nara, Hyogo (Kobe) and a few others — is part of Kansai Region. Osaka has something to offer to almost any type of traveler. 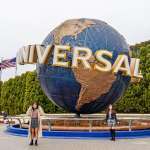 For tourists seeking family-friendly fun, one of the most popular attractions is Universal Studios Japan, which is one of the most visited theme parks in the world. 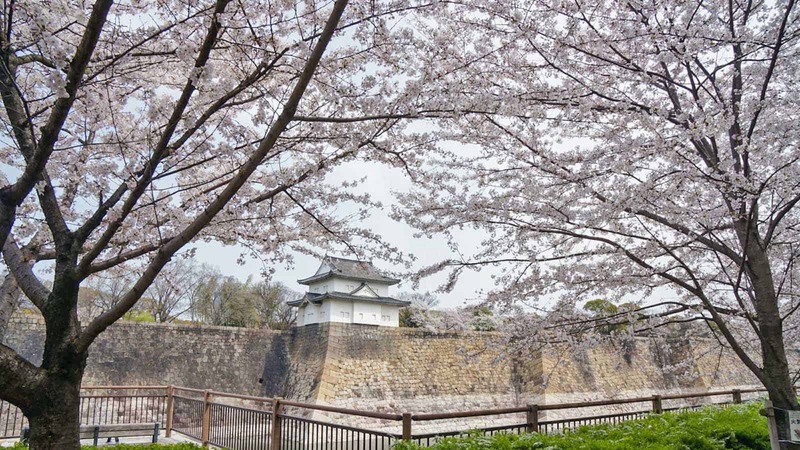 Historic and cultural landmarks also dot its tourism map, including the enormous Osaka Castle and Shitennoji. For the shopaholic, there’s always the Dotonbori-Shinsaibashi area. Osaka is also a great base if you want to explore other parts of Kansai Region. From here, you can easily travel to other cities within the region including Kyoto, Kobe, and Nara. If you want to go farther, you’ll find plenty of transportation options that can take you to Himeji, Hiroshima, and Tottori. There are also buses that can connect you straight to Tokyo. Currency: Japanese Yen (JPY, ¥). JPY 1000 is around PHP 470, SGD 12.21, USD 9, EUR 8 (as of February 2019). Money Exchange. There are a lot of money changers throughout Osaka and Kyoto, but save yourself the trouble and just exchange currencies before your trip. SANRY’S has good rates. You can also withdraw from ATMs when you’re there, but they’re pretty hard to find. Most of the ATMs we saw didn’t accept international cards. Electricity Info: 100V. Type A sockets. Plugs have two flat pins. Type B is sometimes used but not that common. When is the best time to visit Osaka? Early April for the cherry blossoms and mid to late November for the autumn foliage. Kansai enjoys a temperate climate with strong seasonal variations. Spring and autumn are perfect if you’re after fantastic views. During spring (specifically last week of March to first week of April), cherry blossoms adorn the otherwise plain green canopies. These dates bring the biggest crowds and steepest prices. If you’re from the Philippines, we created three dedicated posts for the visa application process. I highly recommend staying in Namba district or Umeda district because they are in central, most convenient and most accessible locations. Namba. Staying in Namba means Dotonbori and Shinsaibashi are within walking distance. There are also direct trains from the airport to Namba Station, which means you won’t be transferring multiple times with heavy luggage in tow. The area is also bursting with restaurants, food stalls, markets, shops, and convenience stores. When you stay in Namba, you’re at the very center of all the action. Umeda. Also centrally located. Both Osaka Station and Umeda Station, two of the biggest and most connected stations in Kansai, are located in Umeda district. These stations are usually the starting points of trains going to other cities including Kyoto and Kobe. If your itinerary includes destinations outside Osaka, Umeda is a good base. First Cabin Midousuji-Namba. Check Rates & Availability. Y’s Cabin Osaka Namba. Check Rates & Availability. Capsule Hotel ASTIL Dotonbori. Check Rates & Availability. HOTEL ASIATO. Check Rates & Availability. Hotel Kelly. Check Rates & Availability. Nissin Namba Inn. Check Rates & Availability. Kansai Airport is almost an hour from downtown Osaka, so make sure you take that into consideration when building your Osaka itinerary. Fortunately, there are plenty of transportation options that you can take to reach the city center. There are two railway operators ferrying passengers from the airport to Osaka city center: JR and Nankai. If your hotel is in Namba, take Nankai, which has a direct line to it. If your hotel is in Umeda area (near Osaka Station or Umeda Station), take JR instead. There are also airport buses that can take you directly to these two districts! See the details below. Kansai Airport is directly connected to Namba by Nankai trains. The train terminals are on the second floor of the building next to the Arrival Hall. Just take the escalator and use the bridge to get to the other side. This is the regular train. It looks like your regular subway train. It is cheaper but slower. You can’t reserve seats on this train. Just hop in and find a spot. This is the premier train. It’s the deep blue train that looks like it came from the future. LOL. It’s a little bit faster than the Airport Express, but much more comfortable. If you want to make sure you’re seated comfortably throughout the journey, book this train. When the transaction is complete, you will be emailed a mobile voucher. You can print it out or save it on your phone. On the day of your trip, upon arrival at Kansai Airport, find the HIS Counter at the Arrival Hall. There is usually a small KLOOK logo displayed in front of the counter. Show your mobile voucher to the staff. You will be given a physical voucher. Proceed to the Train Station (in the other building), find the Nankai Ticketing Counter, and exchange your voucher with the actual train ticket. Do it at least 30 minutes before your schedule. Enter the Nankai train station using the ticket. You can take the bus to Osaka City Air Terminal (OCAT), which is located in the Namba area. Note that the first bus leaves Terminal 1 at 6:10am, last train at 10:40pm. At the Arrival Hall, approach the counter for AIRPORT BUS to OCAT. That’s it! You’re at OCAT. From here you can walk to your hotel. If your departure time is beyond 10:40pm, you can take the Nankai midnight bus which is scheduled to leave Terminal 1 at 2:54am, 3:54am, and 4:54am. If your hotel is in the Umeda district, you can take the JR Kansai Airport Express, which will take you directly to Osaka Station (which is located in Umeda). From the airport’s Arrival Hall, travel on foot to the train terminals on the second floor of the adjacent building. Just take the escalator and use the bridge to get to the other side. The JR Station is just next to the Nankai Station. Make sure you enter the right gate. This is a regular train. No need to reserve a seat. Just board the train and look for an empty seat. If your hotel is close to Osaka Station, you can just walk. If your hotel is along a subway line, you can walk to Umeda Subway Station and take the subway to the closest subway station to your hotel. All buses will stop at Hotel New Hankyu Osaka and Herbis Osaka, but only a few will stop at Hilton Osaka. Travel time is about 1 hour and 15 minutes, which can vary depending on traffic. At the Arrival Hall, approach the counter for AIRPORT BUS to OSAKA STATION or UMEDA. Purchase a ticket. Fare: ¥1550. They will need your passport so make sure you have it ready. Proceed to Departure Platform 5 (or whatever platform number you’re told). Wait for the bus at the platform. If you have big bags, the staff will take them and tag them and store them in the luggage compartment below. You will be given a slip that you’ll need to claim your bags after disembarking so don’t lose them. Board the bus when it arrives. The driver will check your ticket. Find your seat number. The travel time is around 85 minutes. Alight at Hotel New Hankyu or Herbis Osaka. From here you can walk to your hotel. 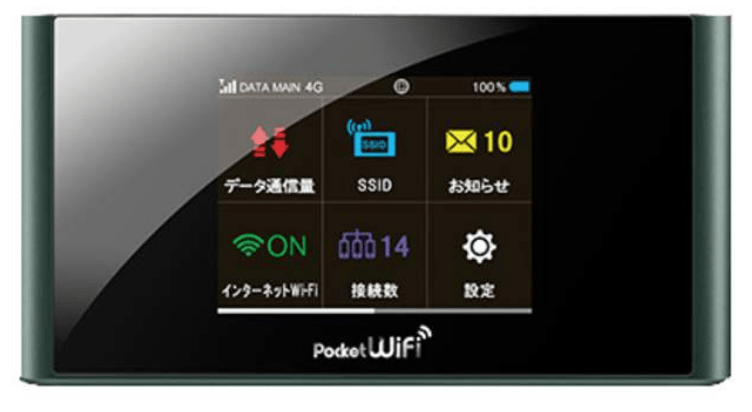 You will find wi-fi rental booths at the Arrival Area of Kansai Airport. Rates are usually between JPY 800-900 per day. However, they are very in demand so there might not be any more available if you arrive in the late afternoon or evening. Some establishments accept only credit card transactions. If you really want to make sure you get a mobile wifi, you can reserve one in advance via Klook for only PhP 389 per day for unlimited 4G access. That’s a lot cheaper than those you will find at Kansai airport. The best part, if you’re a group, you can connect multiple devices hassle-free. You can then split the cost with your friends. You can pick up the device at the airport. No deposit is required. If you opt with a 4G Data SIM, you can choose between two packages: unlimited 4G data for 8 days (around ¥3360) and 3GB data for 8 days (around ¥2160). If you’re a heavy data user, best to go with the Unlimited Plan. You can pick up the SIM card at Kansai Airport. The easiest way to get around Osaka is by train or subway. Osaka is linked to the rest of the island by an expensive (and expensive) train system. In theory, traveling around is easy and hassle-free. In practice, however, it is difficult. Besides the language barrier, these train lines are as complicated and challenging as your previous relationship. You might think you’re on the right side of the right platform at the right station, but there’s still a chance that you board the wrong train and in some cases the wrong car. Some trains even split into half at one point, and they choo choo in separate directions. But thank heavens for the Internet. So here’s a tip. If you own a smartphone or a tablet, do yourself a favor and get connected to the Internet! If you want to score some savings, you can use any of the train passes available. Just pick one that best matches your Osaka itinerary. We have a more detailed post about the passes here: KANSAI PASSES: WHICH IS BEST FOR YOU? For more details, keep on reading. I explained each pass below. If you’re sightseeing around Osaka, we strongly recommend this! This pass offers unlimited rail and bus rides to and in many cities in Kansai Region including Osaka, Kyoto, Kobe, and Nara. You can also use this to travel from Kansai Airport to Osaka or Kyoto and back. Available in 1-, 2-, 3- and 4-day validity variants. Note that this pass is only accepted on JR Trains. This won’t work on Nankai lines or subway lines. Do you need this pass? If you plan on staying within Osaka and not visiting other cities, this is not for you. 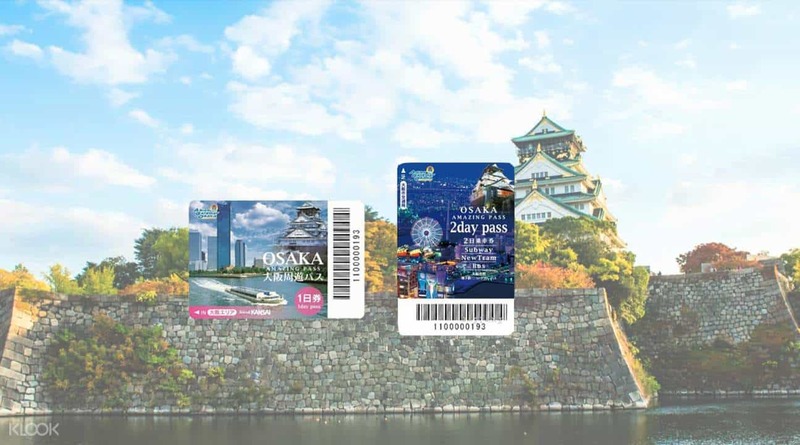 Get the Amazing Osaka Pass instead. If you plan to visit Kyoto, Nara, Kobe or other cities in Kansai, this could be great for you. How does it work? How do you use it? Oh, easy, easy. Book a ticket with Klook. You don’t have to use it immediately. The count will begin on the day you first use it. For example, if you purchase a 2-day pass and you claim it on Monday, it doesn’t mean that you have to use it on Monday and Tuesday. You may choose to use it any day before expiration. If you use it for the first time on Thursday, you can use it on that day and Friday. When you use it for the first time, approach the staff at the counter at any of the station and he will stamp the final date you may use the pass. For succeeding uses, simply show the stamp on the pass at the staff at every JR station. You can use it together with Osaka Amazing Pass too! On my last trip, I used an Osaka Amazing Pass when roaming within the city and then used my JR Kansai Pass on days when I traveled to Kyoto and Kobe. Offers unlimited rail and bus rides in many cities in Kansai Region including Osaka, Kyoto, Kobe, and Nara. You can also use this to travel from Kansai Airport to Osaka or Kyoto. JR Lines are not covered, though. Available in 2- and 3-day validity variants. Unlike the JR West Kansai Pass, the Kansai Thru Pass doesn’t require consecutive days, making it much more flexible. So which is better: Kansai Thru Pass or JR West Kansai Pass? Only you can answer that because it depends on your Osaka itinerary. If most of your stops are along JR lines, then the latter makes more sense. But if your destinations are far apart and closer to non-JR lines, then get the Kansai Thru Pass. Also consider your schedule. 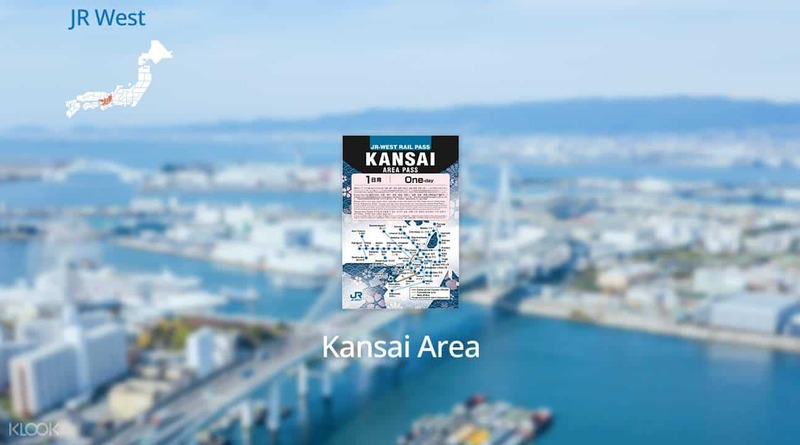 Kansai Thru Pass’s “non-consecutive” feature will allow you to maximize it better. The ICOCA Card isn’t a pass. It’s a prepaid IC card. It’s sort of Kansai’s version of Tokyo’s SUICA or PASMO Card. When you use an ICOCA card, you still pay for every trip. (Again, it’s NOT a pass.) You can also use it to snag some discounts, but the real convenience is that you don’t need to get a ticket each time you’re using the train. You just need to quickly hover the card over the reader and you’re through. It functions like an MRT stored-value ticket (because that’s exactly what it is, a stored-value ticket). You can also use it not just on trains but also on buses, lockers, vending machines, and even convenience stores. Yep, lockers. The ICOCA card works on lockers at train stations! 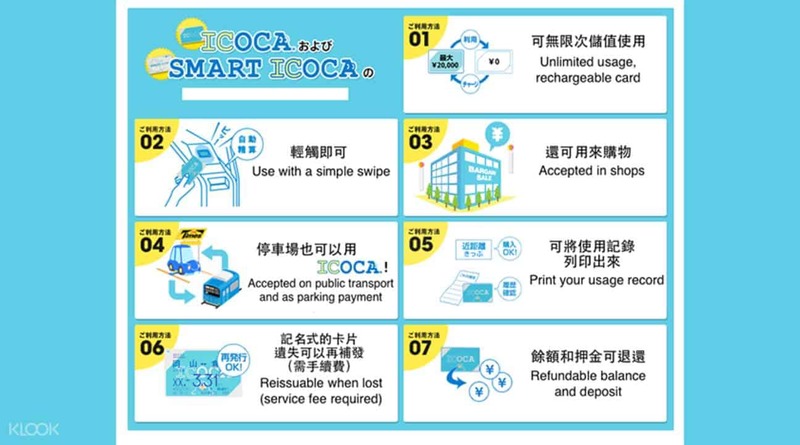 Although ICOCA is a product of JR West and is the primary IC card for Kansai and Chugoku region, you can use it in other places in Japan that has an IC card reader: in Tokyo, Nagoya, Fukuoka, or even as far as Sapporo. However, you can’t use it to travel between regions. The entry station and exit station both have to be within the same region. Yes, you can use it WITHIN Osaka. Yes, you can use it to travel from Osaka to Kyoto or Nara. BUT you CAN’T use it to travel from Osaka to Tokyo or Osaka to Nagoya, because Osaka, Tokyo, and Nagoya are not in the same region. To get one, you just need to approach one of the ICOCA machines at the station. There’s no use for me to enumerate the steps here because it’s so easy. Just choose ENGLISH on the welcome screen and follow the instructions. But if you want a discount, you can get an ICOCA card from Klook, which is already preloaded with ¥1500 + the deposit of ¥500. You can get the deposit when you return the card. 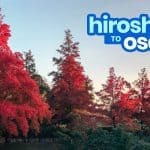 If you’re visiting Osaka, Nara and Kyoto ONLY, you don’t need a JR Pass. It’s only for those who will make multiple long-distance journeys. If you’re staying within the Kansai Region, get a JR KANSAI RAIL PASS INSTEAD. When is it wise to purchase a JR Pass? If you’re visiting multiple cities in Japan and you’re staying for at least 7 days. If your Osaka itinerary is more like that, purchase a pass before your trip. Klook offers the cheapest JR Passes available. If you live in the Philippines, the pass will be delivered to you in 7 days. YES! Klook sells so-called 1.5 Day Pass. Basically, this pass will allow you to visit Universal Studios Japan at 3pm on Day 1 and then you can still use it for the entire day the following day. This gives you enough time to try more rides and enjoy more of the park. Built in the 1500s by Toyotomi Hideyoshi and opened to the public in 1931, it is now a museum that showcases the rich and intricate history of Osaka and the life of Hideyoshi. A view deck perched on top of the castle offers a refreshing vista of the surrounding park and city. The castle grounds, which is transformed into a public park, is worthy of exploring. Locals and foreigners alike enjoy the drastic changing of colors every turn of the season. The place to be for shopaholics and food lovers! This shopping-and-dining hotspot in Namba is a maze of countless restaurants and stores! 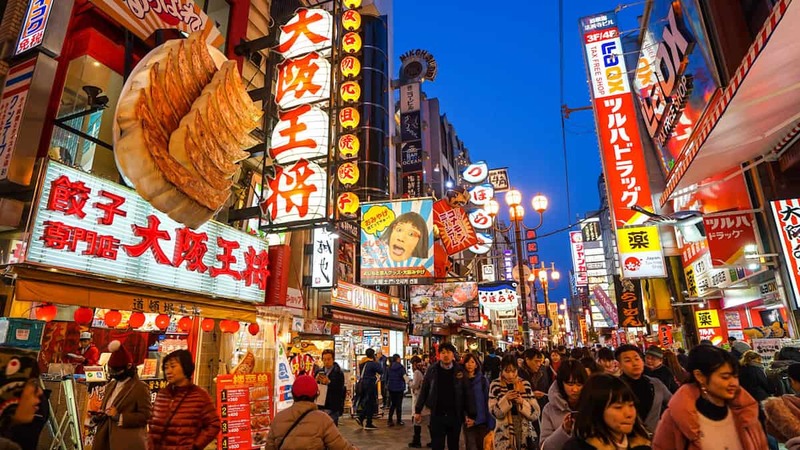 Located in Namba, one of Osaka’s two major downtowns, it is known for its colorful lights and over-the-top store signages like the Kani (Crab), pufferfish, Asahi beer, and of course, the iconic Glico Man. Aside from the restaurants, Dotonbori is also peppered with bars and street food stalls. Get your share of sukiyaki, shabu-shabu, ramen, crab, takoyaki, kobe beef kebab, and fugu. You can also hop onto a boat and cruise down the river. HEP FIVE is a shopping complex that targets mostly the younger market. 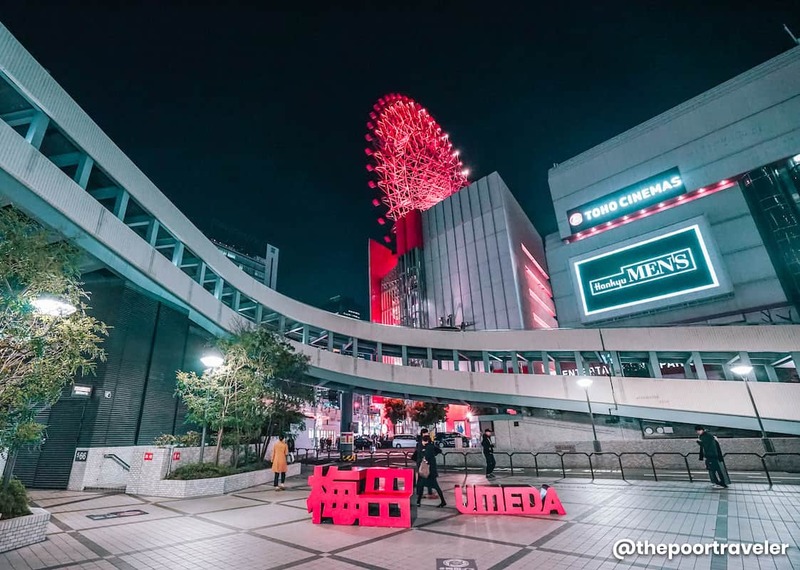 It houses dozens of stores, but it is most famous for its 106-meter bright red Ferris Wheel that enable a marvelous view of the surrounding Umeda district. You can also see Osaka Harbor from here. Standing at 300m, Abeno Hakuras in Osaka’s Tennoji district is Japan’s tallest building and third tallest man-made structure (next only to Tokyo SkyTree and Tokyo Tower). 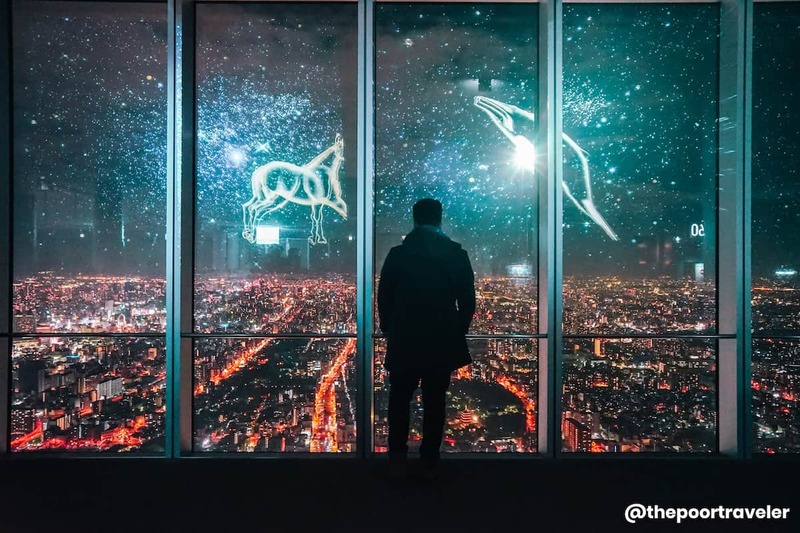 Its observation deck called Harukas 300 is the second highest observation deck in the country, perched on the 58th to 60th floor, and is open to the public! Daily from 9:00am to 10:00pm. Last entry is at 9:30pm. For over 190 years, Kuromon Market has been known as Osaka’s kitchen for its almost endless array of gastronomic options, ranging from rare fruits to mouth-watering seafoods that you can eat or have prepared on the spot. Compared to other markets I have visited in Japan, Kuromon is actually a bit pricier, but the experience make up for it. They sell items in small servings, which allows visitors to get a taste of a wide variety of products, something that a regular restaurant can’t give you. There’s just so much to see and taste here. If you want to try Kobe beef but not flush enough to afford a proper cut, you can get hold of small slices here. Even the deadly fugu (pufferfish) is sold in one of the corners. Built in the 6th century by Prince Shotoku, Shitenno-ji Temple is Japan’s oldest state-constructed temple. Although most structures were repeatedly reconstructed after being burned several times, the original design and details were followed and retained with every rebuilding. 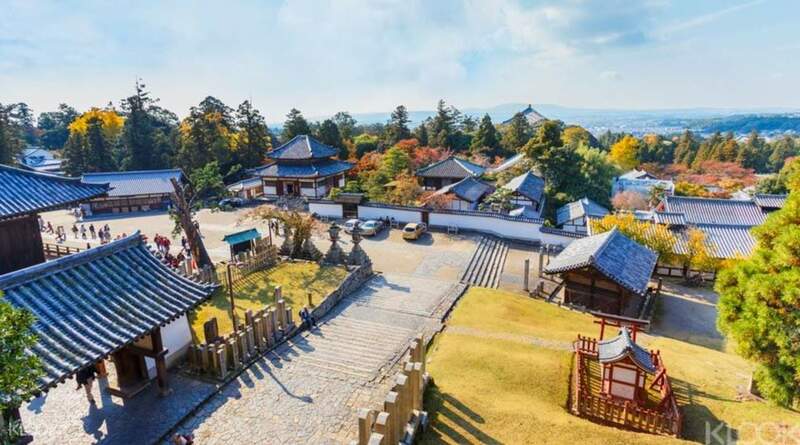 The outer temple ground complex is free for all, but there are three places that requires entrance fees: Chushin Garan (inner temple complex), the Treasure House, and the Gokurakujodo Garden. 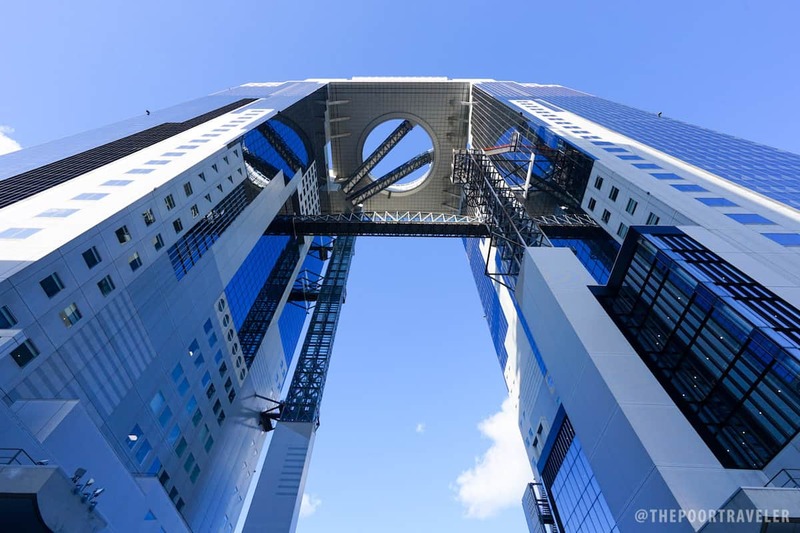 Towering at 173 meters in height, the Umeda Sky Building is quite an imposing sight on the Umeda skyline. The structure is composed of two 40-story towers, linked by the Floating Garden Observatory on the 39th floor. To get to the Sky Walk (open-roof observation deck), from the third floor of the East Tower, take the elevator to 35th floor, where the escalator connecting the two towers can be found. The escalator will then take you to the West Tower’s 39th floor.  Purchase the ticket and proceed to the Sky Walk. Osaka is a great base for travelers who plan on exploring other parts of Kansai Region. From Osaka, you can easily travel to Kyoto, Kobe, Nara, Himeji, and even as far as Tottori and Hiroshima. Here are some detailed DIY day tour itineraries that you may follow. 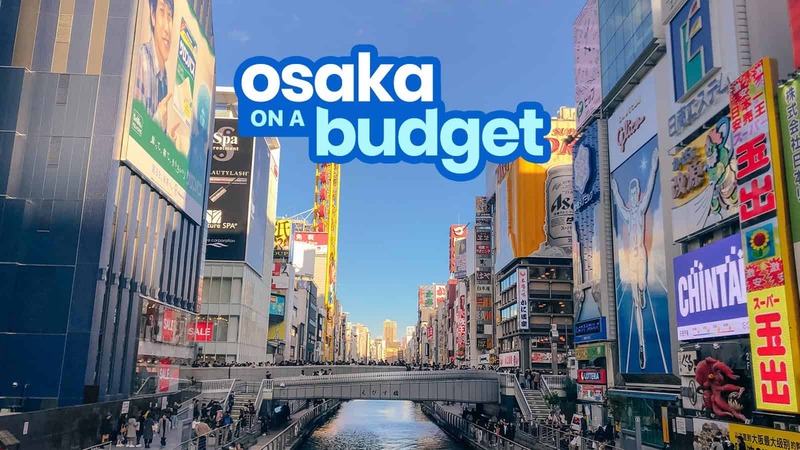 For more destinations that you can visit from Osaka, check out this post with information on how to get there by taking public transportation. Osaka is considered the culinary capital of Japan, boasting several signature dishes including okonomiyaki and takoyaki. Because of its location, its food and culture in general have influences from adjacent prefectures. Shabu-shabu, for example, is always attributed with the city but actually originated in Tottori. Kobe beef is also available at countless restaurants in Osaka, but the beef is supplied by its neighbor. It’s also one of biggest port cities, ensuring a steady supply of ocean bounty and products from other parts of the country. 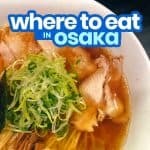 We created a separate post dedicated to the best cheap restaurants in Osaka. You can find that here: OSAKA CHEAP RESTAURANTS. In a perfect world, I would exhaust all the 15 days I was allowed. But you know, this world has shortcomings, much like my wallet. Below is a sample 4-day 4-night itinerary which involves spending 2 nights in Osaka and another 2 nights in Kyoto. To better understand the Kyoto leg of this itinerary, read this first: KYOTO TRAVEL GUIDE. You’re taking Cebu Pacific flight scheduled to arrive in Osaka at 8:10pm. IMPORTANT! In this case, make sure that the first thing you do after going through Immigration and picking up your bags is to head straight to the HIS Office to collect the passes and/or mobile wifi that you booked with Klook because it closes at 10pm. You have a 2-Day Kansai Thru Pass for the last 2 days. This will give you unlimited access to non-JR lines including Hankyu Lines which can take you to Arashiyama and Gion in Kyoto and Kintetsu Lines which can take you to Nara. It also covers your airport transfer on your last day. RESERVE HERE! You DON’T need a JR Pass or Kansai Pass for this itinerary. The OA Pass for the Osaka leg and Hankyu Pass for Kyoto are enough. Using the JR Pass will cost much more. You’re staying in a capsule hotel in Namba, like Capsule Hotel ASTIL Dotonbori or Y’s Cabin Osaka Namba (¥3250 per night). You’re skipping breakfast. It’s healthy (according to intermittent fasting advocates, hehe) and you’re poor! Please take note that the times and costs indicated here are just estimates. For the exact train schedule, check Hyperdia. Make the necessary adjustments to match your schedule and preferences. 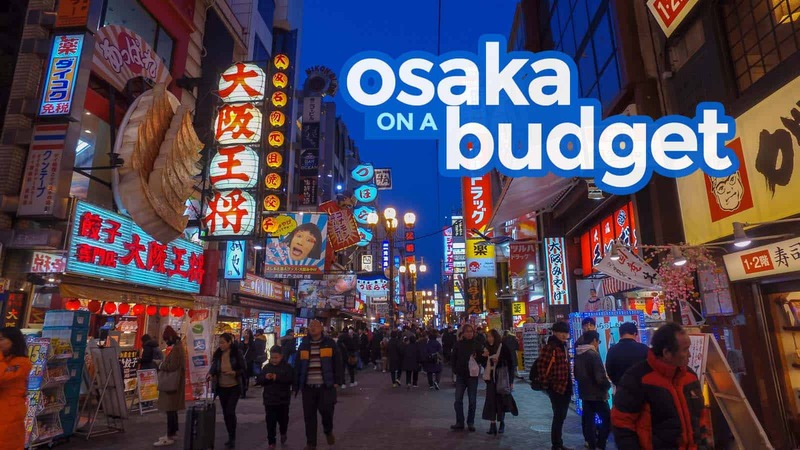 If you follow this Osaka itinerary, prepare to shell out around ¥43,000 (USD 387, PHP20,500, SGD 525) per person including possible miscellaneous expenses like bottled water and some snacks but excluding airfare, visa fee, and travel taxes. Please add some allowance to cover anything we might have missed. Universal Studios Japan eats up the biggest chunk of the budget. You can save a lot by skipping it if it’s not your priority anyway. A fantastic alternative is to just stay in Osaka and visit other attractions within the city. You can buy a 2-day Osaka Amazing Pass instead. This way, the cost goes down to only ¥36,000 (USD 440, SGD 324, PHP17,000) per person excluding airfare, visa fee, and travel tax. Another way to further reduce the cost is by limiting your food budget to only ¥500 per lunch/dinner. Convenience stores and supermarkets offer cheap meals for much lower. But you’re in Japan! It would be such a shame to visit Osaka and not eat out! You can also find an early morning flight so you can save one hotel night. This itinerary may also be too dense for you. It was for me, haha. In fact, I skipped a few of these because my legs were this close to falling off. That’s because I’m old and lazy. Again, that’s me. Lockers. In major stations in Osaka and Kyoto, you’ll find them in many corners. There are two types: electronic and coin lockers. Electronic lockers require an ICOCA card to work, which will serve as the key. If you use your ICOCA card, don’t lose or return the card before you collect your bags. Coin lockers are better choices because you just need to take note of the locker number. Take a photo of your locker details and the surrounding shops so you could easily find them again. Locker rental costs ¥300-¥700 depending on the size. When in doubt, ask. The people of Osaka and Kyoto are some of the friendliest I have ever met. When we were lost and asked for direction, they went out of their way to help us. Some even walked us to our destination. And when we expressed our gratitude, they would just smile at you as if it was nothing. They really were the nicest! Best thing about Osaka: Two things: convenience and its people. Osaka is a major tourism hub, so it is well-connected to other cities in Japan by train and by bus. From here, you can easily reach Kyoto, Nagoya, Hiroshima, and even Tokyo! Second, its people. The people of Kansai Region are some of the kindest, most helpful, and most polite I have met. 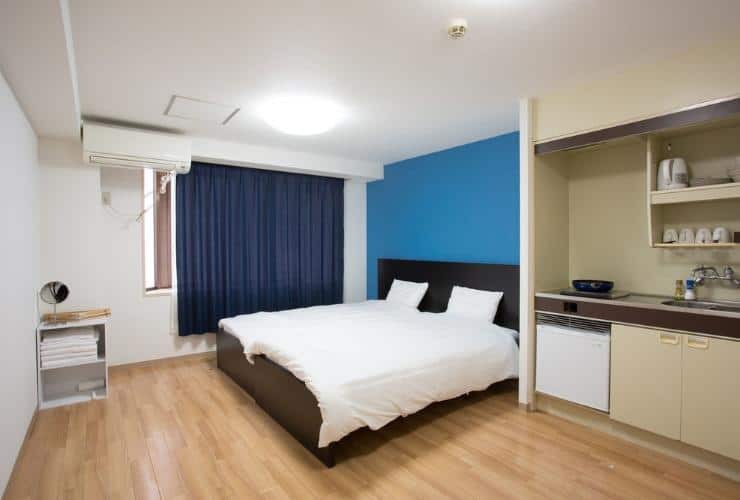 Something about Osaka that you don’t like: Expensive accommodations. Sure, there are cheap options out there, but they are still relatively pricey compared to other parts of Japan. Most unforgettable moment: As mentioned in this post’s intro, on our first night, we made a mistake and unintentionally left our ticket at the gates. A local ran after us to let us know that we made a mistake and that we must come back to avoid any trouble. Within an hour upon landing in Osaka, I already fell in love with its people. Favorite meal. Endo Sushi. I always drop by every time I’m in the city. Favorite spot. Osaka Castle Park. Every time I see the Osaka Castle, I am reminded that many of the things I enjoy now were just “distant dreams” when I was younger. I used to just read about Toyotomi Hideyoshi and Japanese history in general, but now I get to return to these historic places over and over again. It still feels unreal to me. Biggest surprise. Food! I have something to confess. Prior to my first trip to Japan, I disliked Japanese food. Not really dislike, I just didn’t prefer it. If there was another choice, I would go the other way. But my first trip to Osaka introduced the Japanese cuisine to me. I enjoyed it tremendously and never looked back! I am now a big sucker for Japanese food and I crave it all the time! Biggest disappointment. Prices. Hahaha. Japan is an expensive destination, so it’s really no surprise. It just bums me out sometimes that I don’t have much purchasing power here. Yes, Osaka is very safe. Sure, it’s not crime-free, but it is one of the safest major cities in the world. The people of Osaka are also very polite, helpful, and kind. But we would still advice that you keep an eye on your belongings and don’t leave it just anywhere. Tipping is not practiced in Osaka or Japan in general. If anything, it can be seen as an insult, so we don’t recommend it. Most restaurants have a counter by the entrance/exit door. To pay, just approach it on the way out. Well, that depends on your itinerary. If most of the attractions you want to visit are located in Kyoto, by all means, book a hotel in Kyoto. Another great thing about Kyoto is that accommodations are generally cheaper. But if all things are equal, I would recommend Osaka. It’s closer to the airport, located centrally, and has more transportation options. If we’re talking about just Osaka City, 2-3 days is enough to see the top attractions. If you’re also visiting Universal Studios, add another day. If you’re visiting Kyoto, I would recommend adding 2-3 more days, but would be best to just stay in Kyoto for these days. If you want to see just a glimpse of Kyoto, Kobe, and Nara, then add a day for each. A week is usually a good length to see what Kansai region has to offer. 100V. Type A sockets. Plugs have two flat pins.  Type B is sometimes used but not that common. Okay, this is a little bit complicated. There are a lot of tourist passes available out there. And I mean A LOOOOOT! So it can be extremely confusing. There is no ULTIMATE PASS, one pass to beat all the other passes. The best pass for you is the one that best fits your itinerary: how long your trip is and what your stops are. Often, the best way to go about it is to use a combination of two or more passes. Osaka Amazing Pass is something I always recommend if your itinerary involves sightseeing around Osaka. 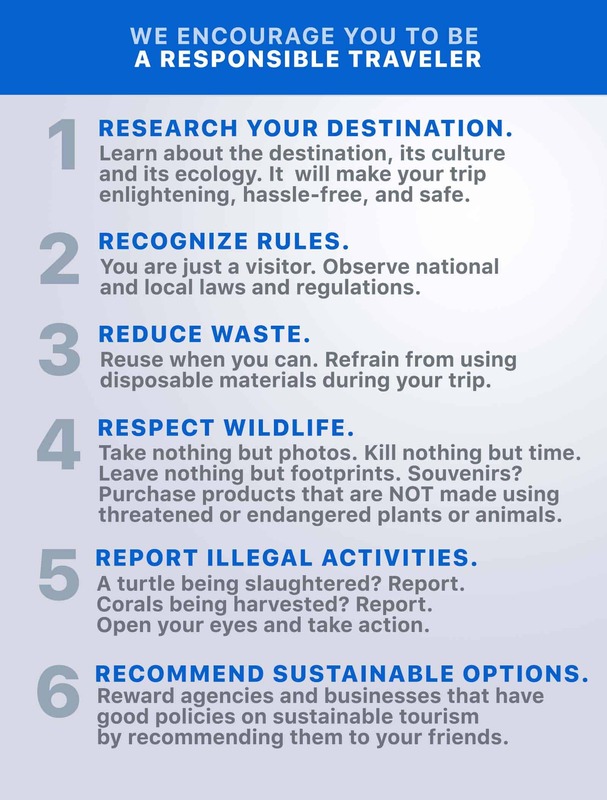 But if you’re visiting other cities, here are our suggestions. OSAKA ONLY. OSAKA AMAZING PASS. OSAKA + KOBE. OSAKA AMAZING PASS + HANSHIN TOURIST PASS. OSAKA + KOBE + KYOTO. – Option 1: OSAKA AMAZING PASS + 2-DAY HANKYU TOURIST PASS, if you’re not going to another city on your last day. – Option 2: OSAKA AMAZING PASS + 2-DAY KANSAI THRU PASS, if you’re visiting another city on your last day. – Option 1: OSAKA AMAZING PASS + HANKYU TOURIST PASS, if you want to see Arashiyama, Gion District and Kiyomizu-dera. – Option 2: OSAKA AMAZING PASS + KYOTO-OSAKA SIGHTSEEING PASS, if you want to see Fushimi Inari Shrine, Gion District, and Kiyomizu-dera. 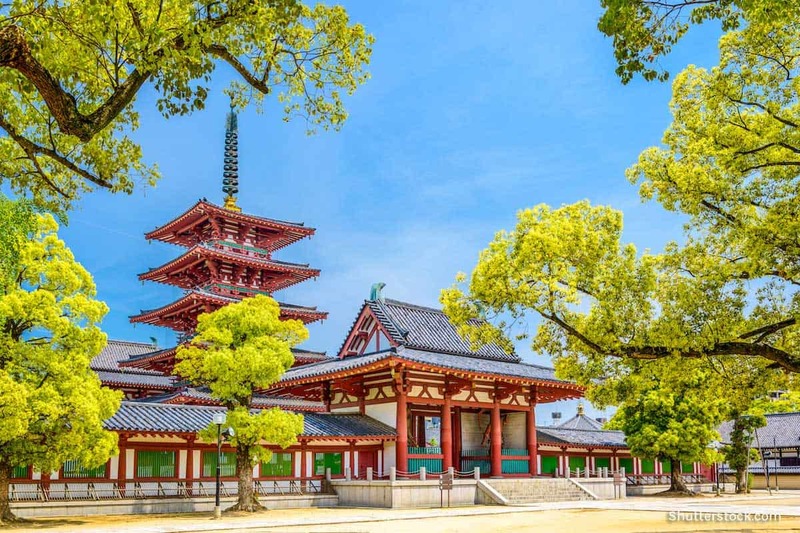 – Option 3: OSAKA AMAZING PASS + KANSAI THRU PASS, if you want to see Arashiyama, Fushimi Inari Shrine, Gion District and Kiyomizu-dera in one day AND you’re visiting another city on your last day. OSAKA + KYOTO + NARA. – Option 1: OSAKA AMAZING PASS + 2-DAY KINTETSU RAIL PASS if Arashiyama is NOT part of your itinerary. 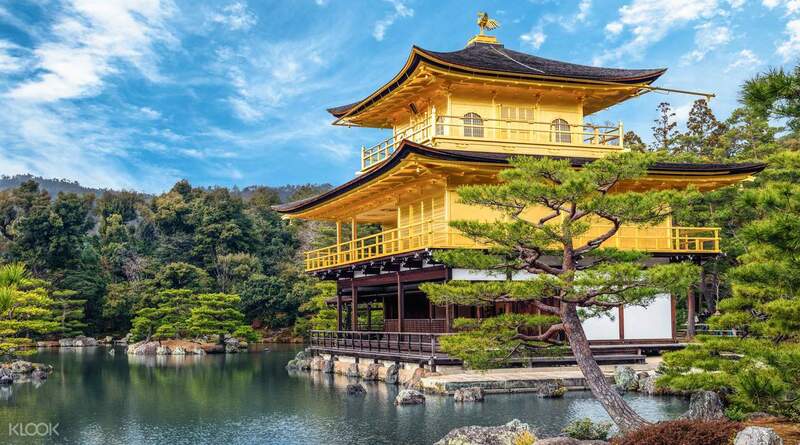 – Option 2: OSAKA AMAZING PASS + 1-DAY KINTETSU RAIL PASS (Nara) + 1-DAY HANKYU TOURIST PASS (Kyoto) if Arashiyama is non-negotiable for you and you’re not visiting another city on your last day. – Option 3: OSAKA AMAZING PASS + KANSAI THRU PASS if Arashiyama is non-negotiable and you’re visiting Kyoto or Nara on your last day. OSAKA + KYOYO + NAGOYA or MIE. OSAKA AMAZING PASS + 5-DAY KINTETSU RAIL PASS. OSAKA + MULTIPLE OTHER CITIES IN KANSAI REGION. – Option 1: OSAKA AMAZING PASS + KANSAI THRU PASS, if you’ll visit the other cities on non-consecutive days and one of them is on the same day you’re going to the airport. – Option 2: OSAKA AMAZING PASS + JR WEST KANSAI RAIL PASS, if you’ll visit the other cities on consecutive days and one of them is on the same day you’re going to the airport. OSAKA + OTHER JAPANESE CITIES OUTSIDE KANSAI REGION. JR NATIONWIDE PASS. If none of the above apply to you, just get an ICOCA Card or none at all. You’ll notice that whenever I recommend Kansai Thru Pass or JR West Kansai Rail Pass, there’s always a condition that you’ll be visiting another city on your last day. That’s because it’s the best way to maximize its value. 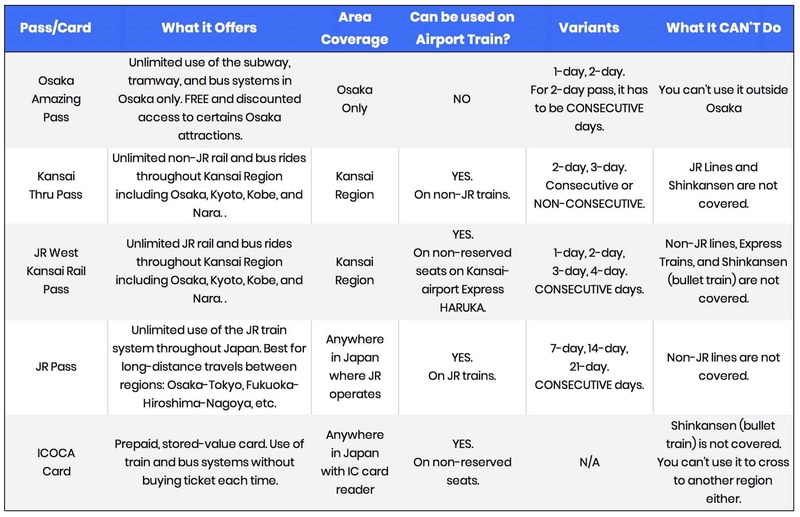 Both these passes cover airport train transfers, which means you’ll get the most savings if you do another day tour outside Osaka on your arrival or departure day. Anyway, here’s where you can buy these passes. Osaka Amazing Pass. Reserve here! Hanshin Tourist Pass. Check rates or reserve here! Hankyu Tourist Pass. Check rates or reserve here! Kintetsu Rail Pass. Reserve or check rates here! Kansai Thru Pass. Reserve or check rates here! JR West Kansai Rail Pass. 3-Day Pass. Check rates or reserve here! JR Pass (Nationwide). Check JR PASS rates here! 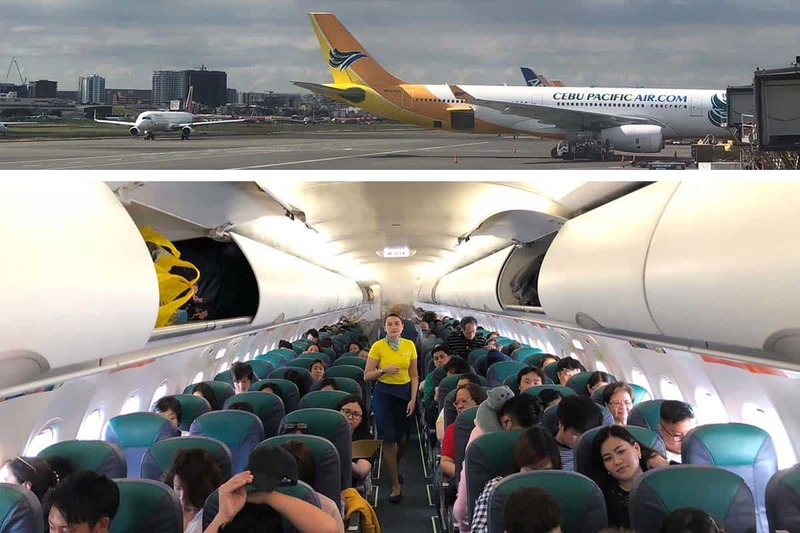 This post is co-presented by Cebu Pacific Air. Very helpful and detailed. i will definitely save this one for my October Osaka trip! Do you have similar blog for Fukuoka and Hiroshima? Hi Beth! Hiroshima, very soon! Hi, thank you so much for this very helpful and detailed blog! Question lang, ano difference ng 5 Day JR Kansai WIDE Area Pass (KIX Pick Up) sa 4 Day JR West Kansai Pass (KIX Pick Up)? Yung 5-Day Kansai WIDE Area Pass covers a larger area including Okayama, Tottori, etc. And 5 days nga sya. Yung regular JR West Kansai, smaller yung scope tapos 1-4 days lang. Thank you for this post. Very informative and helpful. I love that you included your itinerary. That’s half of the work for me. Haha! Thanks so much! More travels to you. Super informative. Thank you so much. :)) I’m an avid fan of your blogs. Though i have one problem, when i click the link on how to apply visa for tourist it led me to the link of relatives guide. the rest, kudos! Hi! Just wanted to follow your sample ite to Tokyo + Kyoto + Osaka for 8 days. I would like to ask if you would still recommend the JR Pass? or its better to use the SUICA and ICOCA? SUICA and ICOCA are not really passes. They’re more like stored-value cards, so yep, they’re great kasi it will make your train journeys convenient kasi no need to take a ticket each time. Hi! Thanks sa reply :) ung SUICA and ICOCA ba pwde rin naming magamit sa lahat ng trains? pati shinkansen and airport train express? As for airport express, depends. For non-reserved seats, usually the SUICA/ICOCA/PASMO can be used to settle the fare. But when there are reserved seats involved, I think you’re gonna have to pay for the “seat fee” separately. For example, in Tokyo, sa Keisei Limited Express, pwede yung SUICA. Pero for Narita Express or Skyliner, seat fee eh kailangan pang bayaran sa counter/machine. This is what I remember. I could be wrong, though. Hi Toni, depende sa gadgets mo. Yung gadgets namin, nakalagay pwede 100-240V, so no problem kasi safe whether sa Pinas or sa Japan. Check your device or adaptor. Very informative. Have ideas now for an Osaka trip someday. Japan is not really that expensive, just do some researching before traveling. Been to Fukuoka, used the city/tourist pass , buy meals and water on supermarkets bcoz cheaper than convenience store and I saved a lot. yep, the supermarket trick really can help save money! 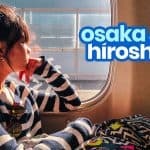 Hi, what night bus can you recommend from Osaka to Tokyo? Willer Bus! Tried it, it was pretty smooth. Hi Josh. Kintetsu Pass only covers Kintetsu line only. Kansai Thru Pass covers all non-JR lines but within Kansai only. I don’t think you can use it for travel to and in Nagoya. Whether or not you need a pass depends on your itinerary talaga. Check yung mga places that you want to visit and tingnan mo ung nearest station and kung anong line ang dumadaan dun. Hello, anu po advisable.. Ppalit n diretso ng peso to ¥ dito s pinas or papalit muna ng $ then pagdating sa japan tyka papalit ng $ to ¥.. If the latter, san po kya mgndang shop n currency exchange sa osaka? Hi Apolkizh, it’s not a good idea na ipalit pa sa dollars bago yen kasi twice ka mawawalan sa conversion. Papalit ka na dito sa Pinas. Hi! Ang ICOCA card ay stored value card. Hindi sya pass. Pag may ICOCA card ka, pede ka nang pumasok nang hindi bumibili ng ticket. Tap/hover lang ung card. Hindi sya unlimited use. Nilo-loadan mo sya and every time you use it nababawasan ng load yung card. Ang Osaka Amazing Pass ay unlimited pass sa subway and bus within Osaka only + free entrance to some attractions. Pagdating sa transportation, it’s a pass. Unlimited use yan. Kahit ilang beses ka sumakay basta within Osaka, wala ka nang pwedeng bayaran. Hindi sya tina-tap. You insert it dun sa slot sa gate. Hi! Just want to know how is the train commute within the osaka area? We’ll be travelling with our 3yo daughter and my concern is baka too crowded ang train rides going to the tourist spots mentioned in your itinerary? Thanks! Hi Tin! It’s not as bad as in Tokyo, faaar from it. But it’s best to avoid rush hours kapag papasok and pauwi na yung mga nagwowork, around 7-9am and 5-7pm. And even then, not all lines are crowded. 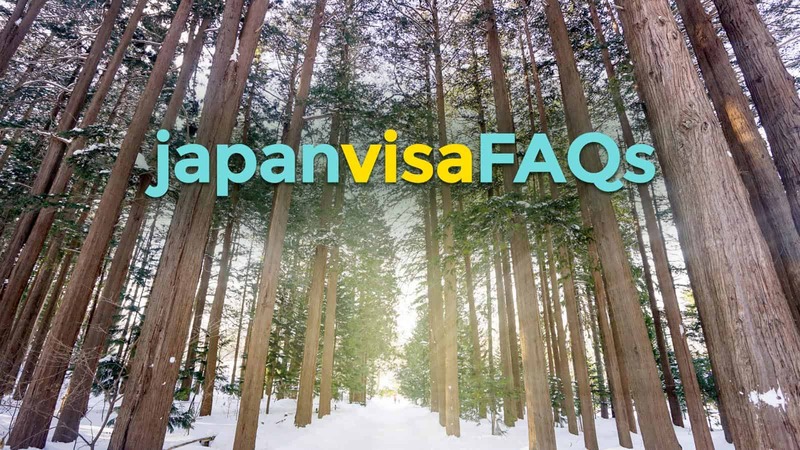 Anu po ang pagkaiba nang single entry and multiple entry sa japan visa? If bigyan ka po nang single entry nang japan embassy hindi ka na po pwde maka punta sa kyoto or nara? Single entry, you can only use it to enter Japan once. Kung single entry hawak mo, pwede ka pa ring magpunta ng Kyoto and Nara from Osaka. Basta pag nasa loob ka na ng Japan, pwede ka nang pumunta anywhere sa Japan, basta wag ka lang lalabas ng Japan tapos papasok ulit. Pag lumabas ka ng Japan, di ka na makakapasok ulit using the same visa. Pag ganun, dapat multiple entry. e.g. on the third day of the trip I’m planning to visit Kyoto for a day tour and back to Osaka just in time for the midnight bus headed to Tokyo – 1) would you consider this doable? 2) should I avail of the JR Kansai Rail Pass though it’ll be only for 1 [Kyoto] use? Appreciate the time and response. Hi Soyfresh, yep, that’s doable. Some buses also pass by Kyoto on the way to Tokyo. Something to consider para di ka na bumalik pa ng Osaka just to catch the bus. Meron naman from Kyoto. Yung bus na sinakyan ko dati, nagstop and nagpick up ng passengers sa Kyoto. Basta reserve ka na lang para sure na may seat. we have 6 days stay in japan including arrival at @8PM at KIX airport, we plan to stay in kyoto upon arrival, 2nd & 3rd day to explore kyoto, 4th day nara & nagoya (just for the Nabana No Sato), 5th day & 6th day will be osaka. . Mas mabuti ba ang ICOCA card for these itinerary? practical lang ba yung mga days of stay namin sa mga places in kansai region? Hi Evelyn, I personally think Nagoya is too out of the way for a half-day visit. Good day ! 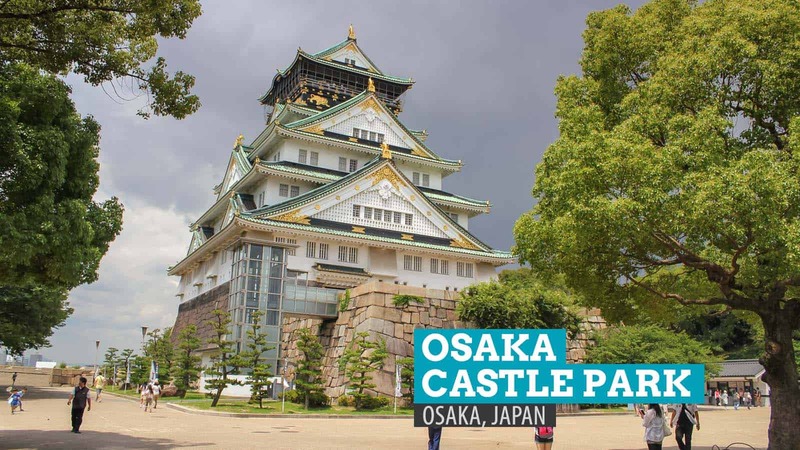 We want to stay in Osaka for 4 days to explore the city can we buy 2 tickets of Osaka Amazing Pass for 2 days which amounting to 6,600 yen to save money for sub-ways and entrance fee . Thank you. Hi Jonalyn, if you’re planning to explore only OSAKA (and not other parts of Kansai like Kyoto or Nara), yes, that’s okay. Note that you won’t be able to use Osaka Amazing Pass outside Osaka. Hi. Need your advise please. We sill stay at Osaka for 2 days, then 1 day at Kyoto. Is it best to get the OA pass and ICOCA instead of JR West 3 day pass (if I understand it correctly). Also is it doable to go to Kyoto and Nara on a 1 day tour? Basically just to go to Inari Shrine, Gion, Nara Park and Todaiji Temple. Is ti possible? hehe. Then will need to go back at night to Osaka. 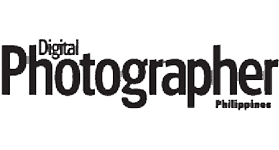 By the way always rely on your blogs. Just recently went to South Korea. Really helpful and informative. Hi! 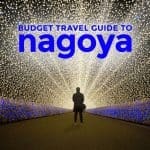 This is informative :) Do you also have a Osaka-Kyoto-Tokyo blog or sample itinerary for a 7day trip? 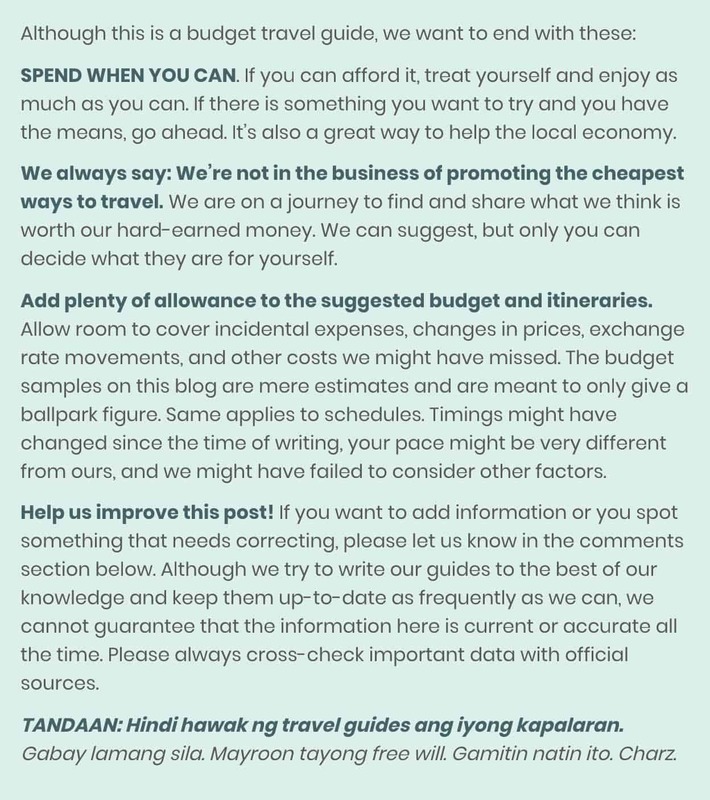 Also, I would like to ask your recommendation what is the most okay and cheapest hehe transpo to Tokyo. Thanks! I will be flying in to Osaka this Feb 8 and stay there overnight, then travel to Kyoto the following day. Then will leave for Tokyo on Feb 11 (where I will be flying out also on Feb 13). Can you please advice me what transport/travel pass to get na sulit gamitin to/from/in those areas. Thank you very much! Hmmmm. From Kansai Airport, travel by Nankai Airport Express to city center. If you’re arriving in the morning, you can get an Osaka Amazing Pass. Otherwise, no need for a pass for Osaka. Then the next day, get a Hankyu 1-Day Pass, which can take you to and around Kyoto. Take Willer Bus to Tokyo. Then in Tokyo, depends on your itinerary. If you feel like you’re taking the subway a lot, get a Tokyo Subway Ticket. Thank you.. However, there has been a change in plans, I will be coming in a day early, Feb 7, and will arrive via Narita then will head to Osaka the following day (then Kyoto, then back Tokyo on the 11th). Is it advisable to get a JR pass so as to cover the fare to and from those places? If not? Can I ask you again for any/other recommendations? Thank you ulit. I will be traveling to osaka with my family and we will be staying in shinsaibashi area (Hotel Trusty). We will be taking the Nankai Limited Rapit express to namba. My question is, from namba, what do we need to take next so we can reach shinsaibashi station? Thanks in advance. Hi Patrick, looks like Hotel Tsusty is near Shinsaibashi Station. You can take the subway from Namba Station to Shinsaibashi Station. You can also walk if you have the energy and you don’t have too much luggage. 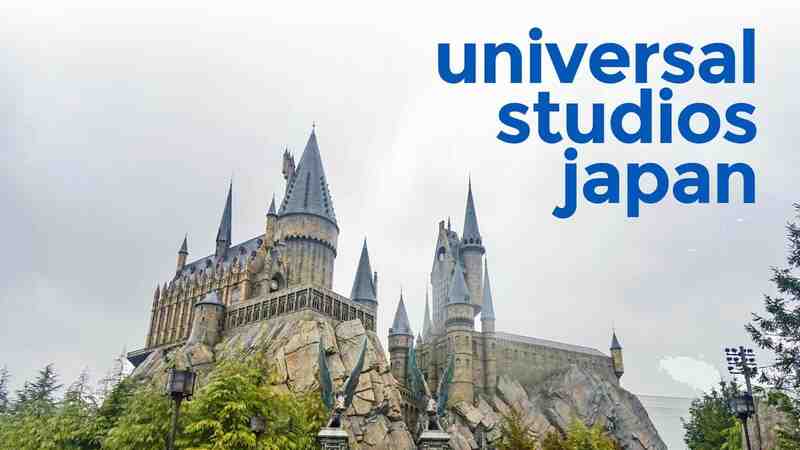 Hello, do I need a JR pass to travel to USJ? Will the ICOCA suffice? Thanks! Hi sir. Would like to ask lang po if youre familiar which pass po ang pwede if we’re staying in himeji? We’re planning to have a day tour po in osaka. Then punta rin po kami sa usj the next day nman po after exploring osaka. Medyo malayo po ata sya sa osaka. Ask lng po if alam nyo po kung anong pass ang pwede po to less yung expenses po namin sa transpo. Thank you po. Hi Louie, the pass for that is JR West Kansai Rail Pass because it covers Himeji, Osaka, and Kyoto. Hi sir! reg lang po sa pass, can i book for all of us po? Or kailangan po individual booking? Hi this is very informative, we paln to goto japan this october for stay for 5 nights, other than nara & kyoto is there other place you recommend? Hi Katherine, since 6 days, 5 nights lang yung trip, I think enough na yung Osaka, Nara, and Kyoto. Sa Kyoto and Osaka pa lang kasi, andami nang makikita and mapapasyalan. If you really want more, pwede ring Kobe. hi sir! would like to ask if you have a link where we can book a night bus from tokyo to osaka or vice versa? thanks! Hi! Thanks for this blog, it’s really informative! I’ll be travelling to Kansai with my sibling for almost 9 days. What pass do you recommend that we get? We’ll be staying at Hyogo, and will be exploring Osaka, Kyoto and Nara. 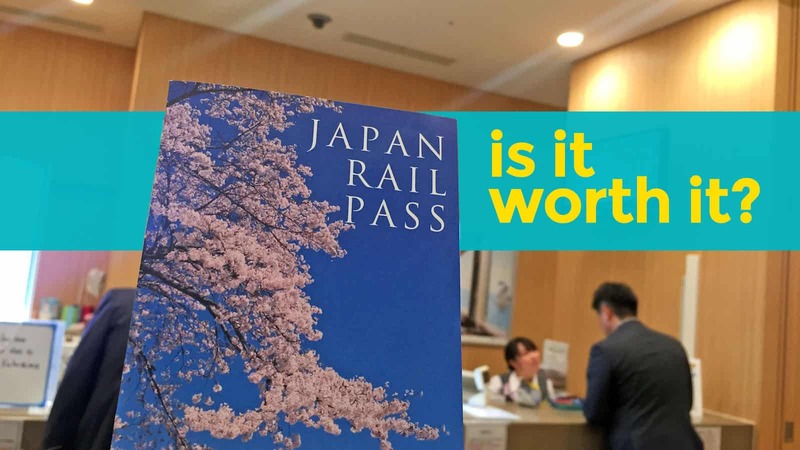 I was thinking of getting two of the JR West Pass (for 8 days), will that be cost effective? Where in Hyogo will you be staying? Kobe? Himeji? Ok. Will you touring every single day of those nine days? I’m not sure if this is the best way to go since I have never tried exploring Kansai from Kobe as base and I don’t know your exact itinerary, but I think you should just take it one day at a time. For example, when exploring Osaka from Kobe, you can use a combination of Hanshin Tourist Pass and Osaka Amazing Pass. For Kyoto, try Hankyu Tourist Pass. For Nara, combination of Hanshin Tourist Pass and Kintetsu 1 Day Pass. Or if Nara Park lang ang pupuntahan mo sa Nara, just use Hanshin Tourist Pass to get to Osaka (and back) and then regular tickets na lang. Will finalize my itinerary first, then take it from there. Thank you for your input! Hi Sir Yoshke! Tanong ko lang, sabi sa ticket ko, aalis ako ng 3:05 PM tapos makakarating ako ng 8:05 PM sa KIX. Ang oras na 8:05 PM ba ay JST or PST? Kung JST, ibig sabihin makakarating ako ng around 9:00 PM doon? Excluded pa ang mga delaysssssssss. Ang concern ko po kasi, may kinuha po ako through klook. Kung ang HIS Travel ay hanggang 10:30 PM JST lang, makakaabot pa po kayo sa redemption ng mga vouchers? Kung hindi po ba ako makaabot, pwede ko pa rin kaya iredeem the next day? 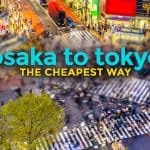 Hi, is it cheaper to stay and travel to osaka than in tokyo? Our family is planning to travel to Japan but we are still debating whether to go to osaka or to tokyo. Also during our application for our visa, we put in our itinerary that we will enter in osaka, will we be in trouble if we enter in tokyo instead? Thank you. Hi Orly, yes, Osaka is a lot cheaper than Tokyo. I think it’s okay if there are changes to your travel plans after the visa issuance. Hello, I will be travelling to Osaka this April. 3D3N lang. I booked a 1 day tour to Kyoto, Arashiyama and Nara. Then planning to do Osaka castle and USJ as well. How much money should I bring? Is 10K yen per day would suffice? 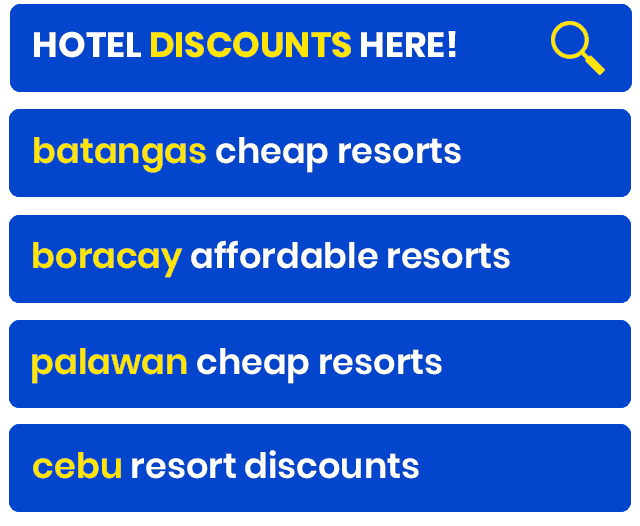 (Just for food, transpo, entrance fees). Thank you! How about adding medical travel insurance for a foreigner who visits Japan at your next blog? Thou we may easily be caught terminal ill in a foreign country at any time. This is what my previous homestay Japanese host has advised me to have to do so. I love this blog. Informative talaga. Dami ko natutunan. Just have few questions Sir. 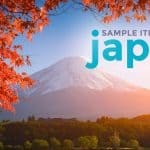 First, sa sample itinerary nyo, wala po yung sa fushimi inari shrine? O kasama sya sa day 3 ng Kyoto? 2nd, ang plan namin ay May 24 friday ang flight to Japan. Saturday po ang start ng Day 1. Mas advisable ba na mag Kyoto sa Day 1, Day 2 Osaka tour at Day 3 Universal Studios, day 4 Nara kahit 9 pm.pa ang flight to the Phil? What would you recommend po? Kasi weekends ang start namin. Gusto sana namin ma maximize sa universal Studios na hindi pipila ng mahaba. 3rd po, kung may Kyoto kami, kelangan ba magstay sa Kyoto for 1 night o mas recommended na magstay na lang sa Osaka all throughout? Thank you in advance Sir. sa sample itinerary nyo, wala po yung sa fushimi inari shrine? — Kung day tour lang ang Kyoto, mas okay na hindi sya ung Day of Arrival nyo para mas marami kayo makita. Andami kasi pwede puntahan sa Kyoto. Mas okay nga kung 2 days eh. Skip nyo na lang Nara. 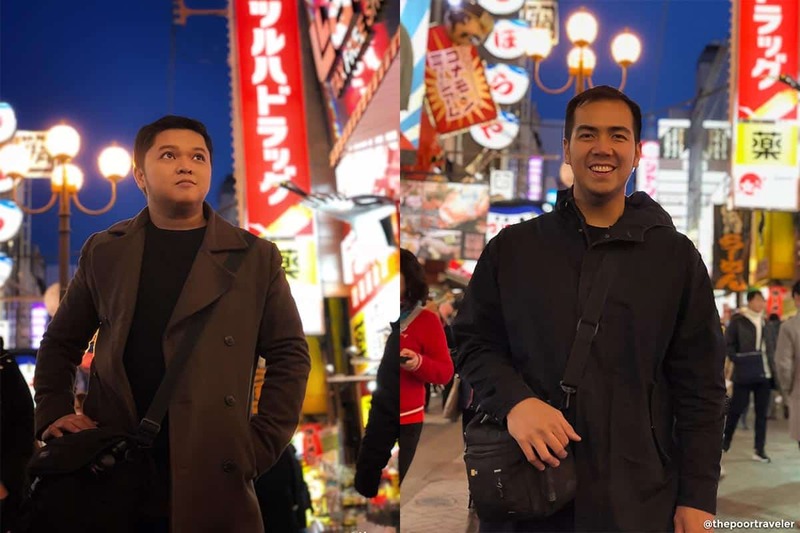 kung may Kyoto kami, kelangan ba magstay sa Kyoto for 1 night o mas recommended na magstay na lang sa Osaka all throughout? — Ok lang kahit alin. Di naman sya ganun kalayo sa isa’t isa. Pero if 2 days of exploring kayo sa Kyoto, mag-overnight na lang kayo. Medyo hassle lang ung check-in check-out ulit. A very big thanks to you, going to japan is simple and easy. Me and my family will be traveling to Osaka this May after the Golden Week Festival … and will be staying mainly and touring in Osaka for 3 days/3 nights. Is it advisable to use only the Osaka Amazing Pass? d. Pass to go either KObe or Wakayama? Medyo weird kasi ung itinerary nyo kasi sa Fukuoka entry/exit nyo tapos Kansai ang ieexplore. Sobrang layo nila sa isa’t isa. Ay sir, sorry, nasama ko pa ang Fukuoka pala..
Get a Kansai Thru Pass and use it to get to Wakayama, Nara, Kobe and Kyoto. Within Osaka, use Osaka Amazing Pass. Within Kyoto, use Kyoto Bus and Subway Pass, City Bus Pass, or no pass at all if konti lang ang pupuntahan per day. I’m confused with the passes that we need to get for our 4 days Travel to Osaka. Will be visiting Kyoto too for 1 day, balikan lang. What is the best pass that you can suggest for us? Thank you so much for this very detailed and informative post. Kudos to your effort! If you have 5 days tapos Osaka lang, pwede mo i-spread around yung itinerary. Konti lang ung pupuntahan per day para mas relaxed. Ganyan din kami madalas kasi nagtatagal kami talaga sa destinations. Wow! This is great! Thank you so much for your response. Do you think I can squeeze in a day trip to Harajuku to shop during this 5 days or is there any place in Osaka similar to Harajuko? Harajuku, as in Harajuku in Tokyo? That’s waaaaaaaaaaaaaaaaaaaay too far, especially for a day tour. The closest thing to Harajuku that Osaka has is probably Amerikamura in Namba.